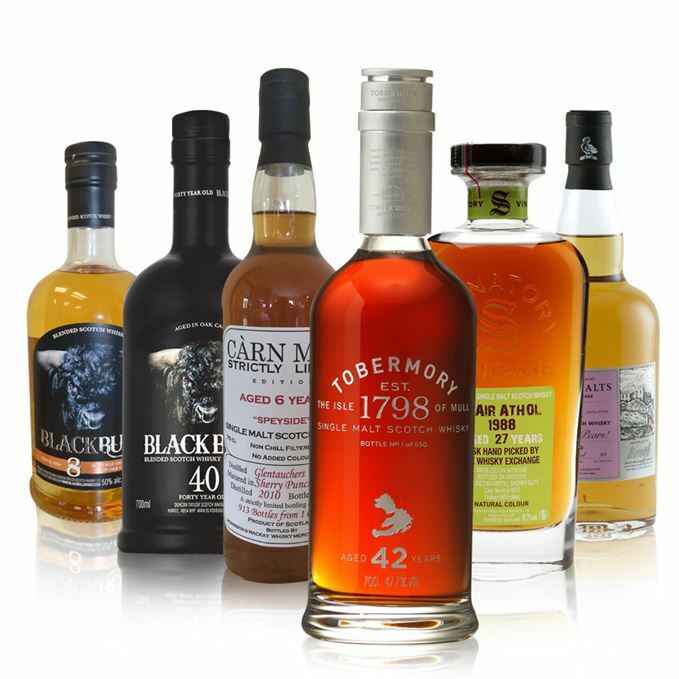 This week’s collection, nosed and tasted by Dave Broom, includes two Black Bull bottlings, a double whammy from Blair Athol, plus a fruity six-year-old Glentauchers and a ‘so wrong, yet so right’ 42-year-old Tobermory release. A zippy, if slightly steely, opening, with some grassiness and then grain – perhaps the bull was wintered indoors. Water adds freshness and some light estery, green apple elements, although everything remains on the firmer side. In time, strangely, there’s the aroma of a hot hairdryer. A clean and sweet start with the alcohol giving a kick and adding a sherbet-like fizz to the palate on the finish. There’s a steely barrier which slams down from the middle of the palate. Dilution allows some light butterscotch elements to develop, but it remains firm. Poky strength for this snorting beast and even dilution to mizuwari levels (3:1) fails to shift that rigidity. On its way to market, the bull rattles the bars of its trailer. A rich, ripe and resinous start. Highly polished furniture, mixed with fresh mint, medlar jelly, toffee and heavy vanilla before a ripe rancio element develops – all dried chanterelle, sweet leather, walnut and mulberry. Water reveals a lighter and more traditionally elegant side. Although not quite as thick initially as the nose suggests, this allowing more delicate fruits to show through adding a creamy orchard fruit layer alongside a whiff of coal smoke. The heaviness then begins to build, slowing the momentum draping heavy velvet folds on to the tongue. Water again reduces this and shows more obvious oak. Personally, I’d sip this as it is rather than diluted. You may disagree. Whatever, this is well worth finding. Wandering in Tangier’s medina. Something moves in the shadows. 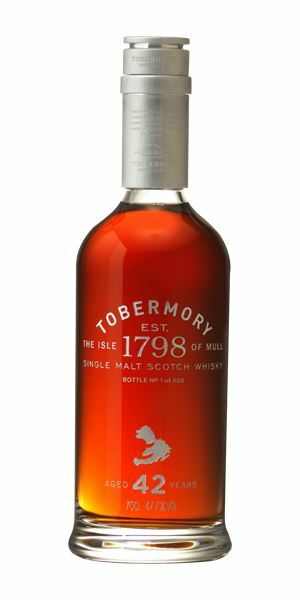 A pretty active cask from the looks of things which has provided an immediate and somewhat funky Sherried element, bringing to mind wet leather hiking boots on damp sand. Caramel comes next, alongside some soft dried fruits. Water opens things up and reduces the funk but allows this delicious dried apricot element to come forward. A balanced and well controlled start, and while there’s maybe a little too much heat in the centre when neat, the texture is chewy with a distinct note of After Eight mints. 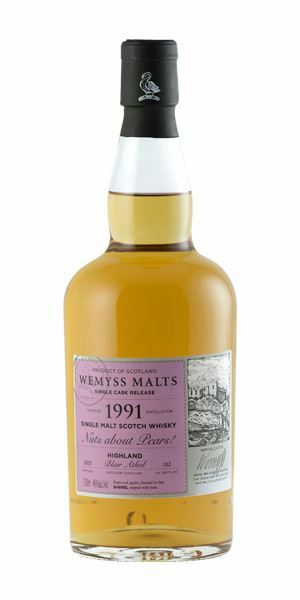 While the nose is slightly hard to pin down, the diluted palate is effusive and clear with iris, dried flowers, those apricots, some tweed and dried fruits – all given extra thickness by the cask. Good balance. 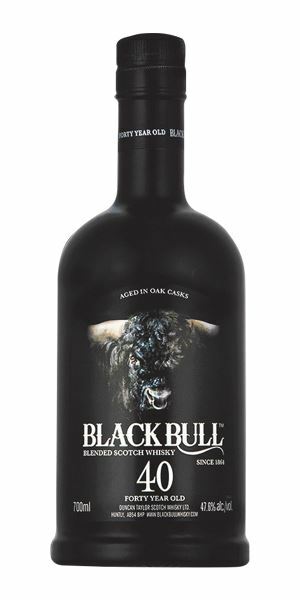 A subtly nuanced dram – already mature at this young age. Nursing a copita of amontillado while walking in Moidart. Laid-back oak here, allowing plenty of the distillery character to come through with bran flakes and then peanut butter smoothed over warm toast. In the background (and as its name suggests) a very pure, if shy, Poire William element emerges. Water however makes things drier and more distinctly cereal-accented. The fruit element has gone and you are left with your nose pressed to the bark of the tree. 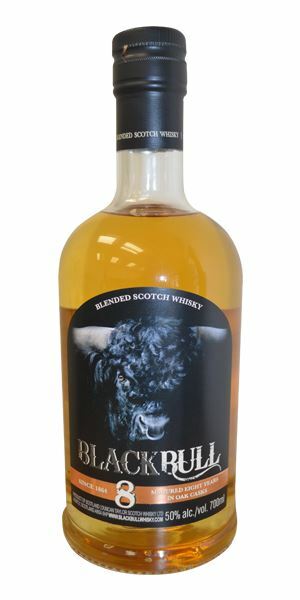 There’s a slightly odd and ultimately unresolved mix between the heavy (distillery) and this attempt to add in top notes and delicacy, as if the whisky is caught between the two, unsure of which path to take. Water makes things slightly sweeter with some praline. The nose remains slightly dumb, the palate never quite reconciled between its two elements. In the orchard, a squirrel’s secret hoard. Thick and rich, and more in line with the Flora & Fauna bottling that is most people’s introduction to this most singular of malts, there’s malt loaf (complete with waxed paper) then roasted red pepper which adds this slightly burnt element that comes through, before heavy yet sweet spices begin to develop adding a richness with semi-dried fruits, almond, sultana and a flare of a struck match. Chewy and super-ripe, but always with the distillery’s depth adding a suction and gravity to the manner on which it sits on the tongue. The heavy spices and fruits are retained but now there’s an added flavour which brings to mind Scottish 80/- (80 shilling) ale. Supple tannins and sweet liquorice. 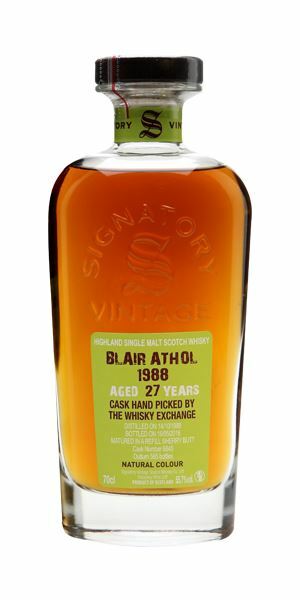 Dense and dark and an exemplary Blair Athol. My childhood morning routine. Standing in the kitchen, mouth agape, being (force) fed a tablespoonful of DCL malt extract. As black as pitch and, it has to be said, sulphury. Firecrackers, then leather, wood glue and this savoury, meaty element like a well-hung (oooh missus) roasted pheasant with chestnuts being placed on a table dripping with scented candlewax. Then comes a whiff of burning rubber. Water brings out mothballs, balsamic notes and a touch of old recipe Potter’s Nodoff (when it still had chloroform). Big, dry and tannic, with bursts of spent fireworks and a burnt element like a pot of game soup that’s catching on the bottom of the pot. Even though you know it’s wrong, you keep coming back for more. A fell temptress. Maleficent rises and weaves her spell. 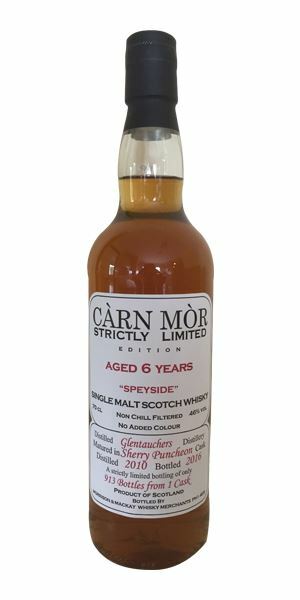 Batch 52 15/07/2016 Dave Broom pours out his thoughts on a ‘monster’ Mortlach and Cadenhead blended grain. Batch 50 01/07/2016 A trio of 17-year-olds from Benriach, Tomatin and Tormore, plus Cù Bòcan and a 1970s Benromach.